Broadcast engineers and operators are always looking for better, more efficient ways to contribute and distribute video. It’s especially true for sports broadcasters and live-TV producers, who regularly deal with backhauling live, high-action, multicamera, multisource video and audio. The challenge is maintaining perfect video genlock and lip sync across multiple cameras for wireless At-home, remote integration or REMI live video production. 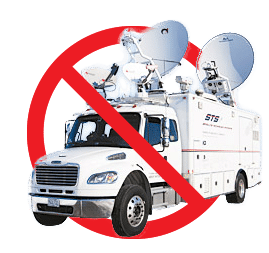 AVIWEST’s HE4000 4K UHD & HD HEVC live encoder, PRO Series and AIR Series of bonded cellular and IP transmitter with SafeStreams® technology do just that. A far less costly alternative to traditional telecom, satellite, fiber and microwave connections, the HE4000 sends video through the public internet or unmanaged networks, which are practically free. Bonded cellular capability can be added to the HE4000 using the optional QUAD CellLink active antenna. For greater mobility, the PRO and AIR Series of bonded cellular and IP transmitters provide a camera-mount, backpack or belt-pack alternative to satellite that is ideal for multicamera, remote integration (REMI), and at-home productions. Chris Brown of Turner Sports took attendees of the 2018 SVG Summit behind the scenes of Turner’s productions at the Ryder Cup which sent back more than a dozen IP streams over the Public Internet using the AVIWEST HE4000 HEVC Encoders with SafeStreams Transport and The Match, which deployed an array of next-gen tech and player miking strategies. Inherent in the PRO, AIR and HE4000 encoder is AVIWEST’s patented SafeStreams transport protocol, which provides reliable, broadcast-quality video transmission over 3G/4G cellular, LAN, Wi-Fi, satellite, and the public internet with advanced forward error correction, dynamic automatic re-requests (ARQ), and up to 100 percent redundancy. Finally, the protocol itself also has a built-in level of redundancy, which can be set as high as 100% so that each packet is transmitted twice. SafeStreams lets users record, store, and forward 4K UHD and HD contents at low bit rates. It gives the HE4000 the ability to transport 4K UHD and HD content over the public internet at data rates as high as 100 Mbps. Furthermore, it bonds up to 11 IP connections (up to eight cellular, two LAN, and one Wi-Fi) to create the biggest possible transport pipe. LAN connections can be a telecom circuit, public internet, satellite, and more. When using the HE4000 over cellular networks, the use of one or two QUAD CellLink is required to provide up to eight modems with high gain antennas. This solution is special because of its patented high-gain, long-range antenna, which eliminates cross-coupling and interference compared to consumer USB modems. The PRO Series high-gain antenna means signals are more likely to get picked up by a cellular tower. 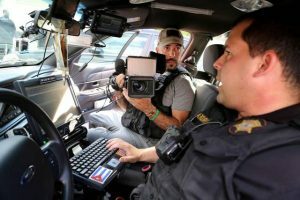 A&E’s highly popular “Live PD” captures and streams live video of police officers on patrol in six jurisdictions around the U.S. It’s a REMI production that runs as many as 36 live cameras feeds back to a New York control room. hour. With so many feeds, traditional satellite or microwave links are not a viable option. AVIWEST bonded cellular gear with SafeStreams achieved what no other system could: simultaneous transmission of 36 live video streams up to 3,000 miles away, with perfect multicamera genlock synchronization and lip sync. It’s a major feat of broadcast engineering. The “Live PD” crew uses 36 PRO180-RA bonded cellular transmitters — one for each of two HD cameras in every patrol car and the two camera operators in the back seat. Four QUAD high gain, external antenna units are installed on each patrol car so the transmitters in the trunk can receive a strong and resilient signal. The transmitters feed up to four video channels and eight audio channels of live, high-quality video back to the control room in New York from every patrol car in all six cities. In the control room, the AVIWEST StreamHub transceiver, decoder, and distribution platform receives the live video feeds and dumps them into an instant replay system, which delivers the video to air for the live broadcast. A genlock input on the transceivers is instrumental in providing multicamera genlock capability to maintain synchronous cameras and perfect lip sync. If the AVIWEST PRO series of bonded cellular transmitters with SafeStreams can work for an unprecedented, challenge-ridden REMI production like “Live PD,” imagine what it can do for multicamera news, live sports, and events. 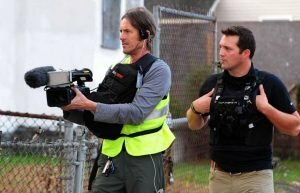 With the first season of ‘Live PD,’ the AVIWEST gear enabled us to prove the concept of bonded cellular technology for capturing large quantities of high-quality live HD video from multiple cameras and then streaming it to air in real time. The PROs allowed us to accomplish our creative goals for the show in a highly cost-effective manner, and we could not have been happier with the gear’s performance. Therefore, it made complete sense to make a long-term investment in AVIWEST technology to keep pace with the ever-expanding scope of the show. Other competing systems we tested were unable to meet the show’s technical demands.